About the series . . .
Silver River is a little town full of strong men who followed the trail West to Montana hoping to get rich from the Silver Rush that gave this picturesque valley it's name. Many of them are lonely, but their pioneering spirit means they make their own luck. As the town begins to expand, its inhabitants are getting restless, looking for love and adventure. Karla Gracey was born with a very creative imagination and a love for creating stories that will inspire and warm people's hearts. 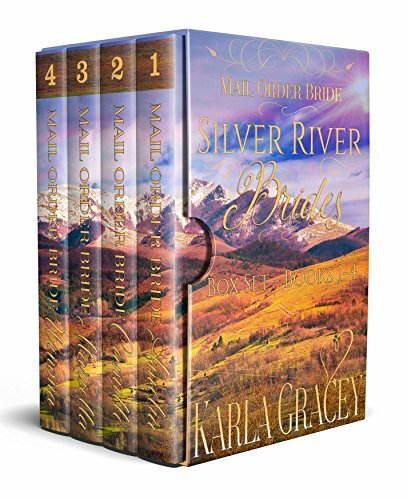 She has always been attracted to historical romance including mail order bride stories with strong willed women. Her characters are easy to relate to and you feel as if you know them personally. Whether you enjoy action, adventure, romance, mystery, suspense or drama- she makes sure there is something for everyone in her historical romance stories! 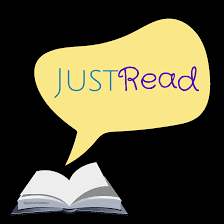 Visit the author here. There is currently an offer for a free novella. With Christmas only three days away, Carol Claus agrees to her father’s request that she leave the North Pole on a mission to help save Christmas. Joining single father Ben Hanson and his children for the holidays seems an easy enough task until Santa informs her that Ben is the man behind the disturbing new book ‘Beyond Bah Humbug: Why Lying to Your Children about Santa Claus is a Bad Idea’. Posing as Miss Kane, the children’s new nanny, Carol pulls out all the stops to show Ben how fun Christmas can be, all the while struggling to understand how one man could hate the holidays so much. How could she, Santa’s only daughter, be so attracted to a man who refuses to believe her father exists? What I Thought. . .
A delightful whimsical read. This fun little novella will have you believing in Santa Claus,Christmas and romance. I enjoyed reading and look forward to reading more. This a great read for those quiet nights you want to cozy up and enjoy the holidays. I read the novella on my phone using the Kobo app. I was not asked to write a review. From the author. . . The idea of writing 70 words about myself is far more daunting than the idea of writing 70,000 words made up out of thin air about characters I’ve never met. It’s funny how that works, isn’t it? I won’t bombard you with details about my life, suffice it to say that it’s been full of blessings with much laughter along the way. However, there is one thing I’d really like you to know about me…I sincerely appreciate each and every reader who has chosen to spend time reading one of my books. Readers, like books, make the world a wonderful place to live in! Have a question or comment? Drop me a line at caroline@carolinemickelson.com. And if you haven’t yet done so, please consider joining my VIP Reader Newsletter list here to receive a FREE Christmas novella as well as updates on new releases. I have a few titles just waiting to be read - reviewed- or featured. First up what I'm reading now . . .
'Yes' without even reading the description. Sometimes that's not too smart. But in this case I don't think I'll be disappointed. With compassion and encouragement, Amelia Rhodes offers Bible verses and prayer prompts, organized topically for every letter of the alphabet. There are five topics per letter–three prayers of petition asking God to work in a certain area of need, and two more prayers of praise to reflect gratitude for God’s presence in the daily issues and relationships of life. Through petition and praise, your specific, focused communion with God will lighten your heart as you place the heaviness of those prayer requests where they belong–on His strong shoulders. Whether you are praying for a friend’s adoption journey, a neighbor’s bankruptcy, or a family member’s cancer, this book will give you Bible verses, prayer prompts, and prayer starts to guide you through praying for even the most difficult issues that affect the people you know and love. 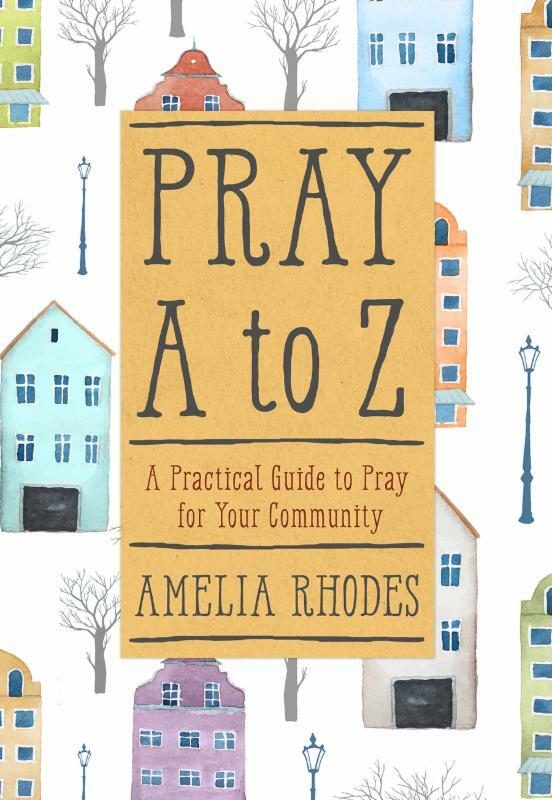 Perfect for either individual or group prayer,Pray A-Z will help you experience the peace that comes from communicating with God. About the book Provided by IRead Book Tours Dreaming Sophia is a magical look into Italy, language, art, and culture. It is a story about turning dreams into reality and learning to walk the fine line between fact and fantasy. When tragedy strikes, Sophia finds herself alone in the world, without direction and fearful of loving again. With only her vivid imagination to guide her, she begins a journey that will take her from the vineyards in Sonoma, California to a grad school in Philadelphia and, eventually, to Italy: Florence, Lucca, Rome, Verona, Venice, and Val d’Orcia. Through dreamlike encounters, Sophia meets Italian personalities—princes, poets, duchesses, artists, and film stars— who give her advice to help put her life back together. Following a path that takes her from grief to joy, she discovers the source of her creativity and learns to love again, turning her dreams into reality. Have you started your Christmas shopping? Need ideas? Come over to the 1st Annual Reviewers Suggestions for Christmas! The party begins Thanksgiving Day at noon over Here. After breaking up with her safe-but-smothering boyfriend, Jami is determined to ace her first big assignment. A story about the McAllister estate is too intriguing to ignore—much like its handsome, commitment-phobic heir. Thanks to her digging, the pieces of Grant’s fraught family history are gradually fitting into place, but also upending all his old beliefs. I had mixed feelings about this book. I struggled a bit to finish it. By the time I was over 3/4's through it I began to really be interested. It is filled with interesting and quirky characters that tend to 'make' the story. get involved etc., etc., etc. Finally they get involved then something causes them to split., etc., etc., etc. But fun and a bit humorous. It also has a great message. As I finished reading I honestly realized I really did like this story. I wasn't too attracted to Grant the main man. I frankly thought he just needed to 'give it up' and move on. After a broken marriage he struggles to 'move on'. Until he meets Jami in the small town where his parents grew up. Jami's character is sweet 'a bit' quirky and honestly good. She has some baggage and hidden dreams that come out. Grant encourages Jami to strive to fulfill her dreams. She encourages him too. Both their dreams are fulfilled by the end which is good. But I was left wanting more. Although the author; I admit did a great job of tying the romance and the subplots together into a fun story I would have enjoyed the book alot more if there had been an Epilogue where the couples dreams come to fruition. Their dreams were a huge part of their stories and their characters. I would love to see a series. I was captured more by the sub characters than the main characters. 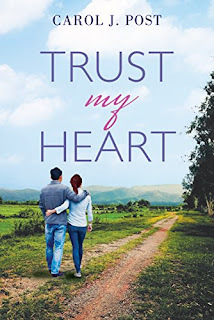 I enjoyed reading Trust My Heart and would read more if there was a series. I visited the authors page after writing this review. 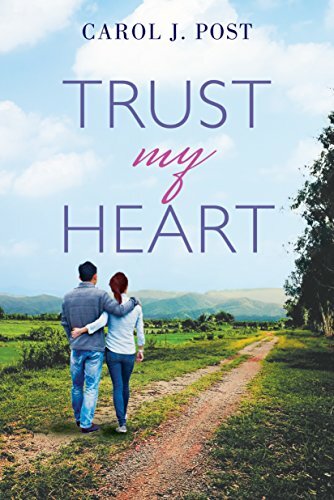 I was thrilled to see that Trust My Heart is indeed book one of the Murphy Series. I wish that there had been some indication in the book that there will be a series. This review will be posted at My Journey Back. "This memoir is like a good, honest friend who compels you to listen to the wisdom and wit she has to share. From the first page, I was hooked. Through this tender love story between the author, her husband, and their fur-babies, I was touched by Kit Kat's love for her family, Lucy's zest for life, and Lonnie and Joe's unending willingness to learn what's best for their kitties. DuPont weaves in poignant memories from her childhood, humor, and practical insights about cats. I couldn't stop reading and, by the end, felt like I had a new best friend." "A beautifully written memoir about two cats who suddenly show up, move in, and set up housekeeping. As human and feline lives slowly intertwine, it's ultimately unclear who is nurturing whom as they slowly become a family. The story of Kit Kat and Lucy is genuinely moving, poignant, hilarious (a mouse dropping from the ceiling), and ultimately compelling as Lonnie Hull DuPont experiences the sustaining power of love in furry form." And I thought. . . I received a complimentary copy. As an animal love I was very excited to get the opportunity to read this book. I'm not sure that Kit Kit & Lucy turned out to be what I expected. very well written and a little humorous memoir. Although I made an attempt to 'get into' the book so that I could write a review I was not able to finish. I'll pick it up again and give it another try. This review will be posted on Amazon, Barnes and Noble and CBC. Visit these retailers to read other reviews. will appear on My Journey Back. A call for help from an old friend lands Bianca and the crew back in Boston. On a timeout with Dante, due to revelation as in the aftermath of the showdown in Naples, Bianca is drawn to a mysterious new ally who understands the traumas of her past, and has some very real trauma of his own. Murder, designer drugs, and a hacker named Magician challenge our team, and Bianca learns that leaving Rendition behind might be much harder than she thinks. And I thought . . .I love suspense this series does not disappoint. As with the earlier books in the series Corporate Citizen is suspenseful and fast paced. Another on the edge of your seat story. regulars. The author rounds out the story with a little humor along the way. This is a series that I would suggest the reader begin with book 1. 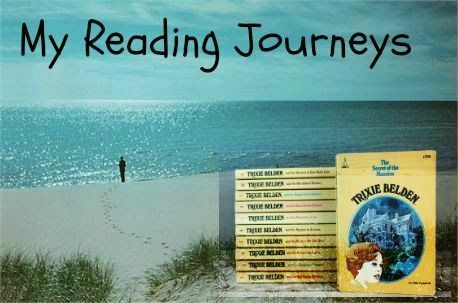 Although each book stands alone it is much easier to get into the story starting at the beginning. There are a lot of characters to get to know. I look forward to Book 6. Book 5 ends in a cliff hanger. I received a complimentary copy from Italy Book Tours. Doing things a little backwards this time. I tell you about the book! I hope you don't mind! I can't put into words how much I loved this book! 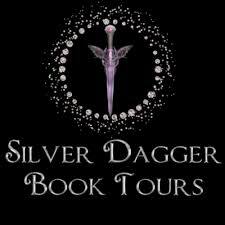 When I was given the opportunity to read I said 'Yes' as fast as I could to make the blog tour. And I wasn't disappointed. Killer had me from page one and would not let me go! 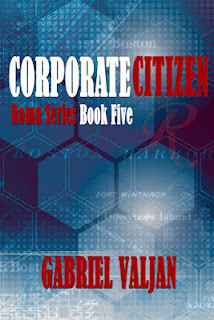 This story is the 3rd book in the Lovers In Crime Series. There are lots of characters and multiple story lines in each of the books I've read by La;uren at least that is what she did in the Mac Faraday series which BTW is great too. Killer was no different. There was Joshua and Cameron Thornton and all their children. The story was mainly about the oldest son J.J. who had just returned home from college. He had intended a leisurely summer studying for his Bar exam. The summer ended up being much more than everyone bargained for. J.J. happened (at least so it seemed) to run into Sue Ellen Russell a woman yes I said woman who had mentored him in high school. They fell in love back in the day but each went their separate ways. When J.J. returns their affair is rekindled. J.J. ends up moving into the family horse and orchard farm that Sue Ellen has inherited from her parents. Together they begin the daily operations of the horse farm. Trouble simmers in the background when (dad) Joshua . . . let's just say he isn't happy with the couple. But Cameron (the step mom) convinces him to visit J.J. and Sue Ellen. Taking along the younger children Izzy (an adopted child) and Donny (Joshua's 16 year old who can't stay out of the kitchen he eats everything in sight). The friendly visit which includes pie puts everyone at ease while Izzy makes friends with dogs, cats and a rooster that no one likes. I was in love let me tell you! and asks her to investigate the murder of an ex band member. Which everyone is surprised when Dylan Matthews is found some 30 years after being murdered. Back at the ranch Sue Ellen is overwhelmed with the daily operations and begins looking for someone to manage the horse operation. In comes 'horse whisperer' Poppy Ashburn a mysterious woman who has every horse following her like a puppy dog within a few minutes. Izzy who is getting out of bed early and begging to go to the barn is following Poppy around and begging for a horse of her own. If your a regular reader of my blog you know why this story line got me. I loved the ranch setting. are a few dead bodies included in the mix. I do have one caution I have to add for my readers that might think about allowing a younger adult or teen read this book. There is a part in the middle of the story. A witness involved in the cold crime has an alternative lifestyle that possibly might offend some people. I only include this as a caution. I would read the book and discuss this before allowing a teen to read. 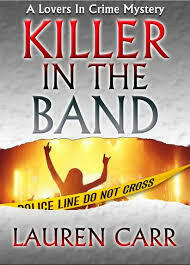 Killer In The Band is probably my favorite of all the books I've read by Lauren Carr. I look forward to reading more! This book deserves my 5 star rating! This review will be posted at Amazon, Barnes and Noble and Good Reads. This review will appear on My Journey Back and will be linked at my favorite blog parties. Check out this fabulous Giveaway.... Click here to enter.